Invenfin's Alexandra Fraser has been appointed as committee chairperson of non-profit Silicon Cape. 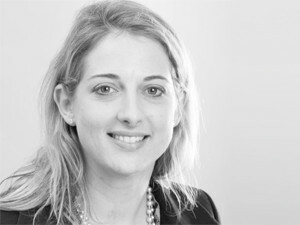 Silicon Cape has appointed Invenfin business development manager Alexandra Fraser as its chairperson for 2013. The announcement was made at the non-profit initiative's committee election voting event, at the Bandwidth Barn, in Cape Town last night. "I am honoured to be elected as the next chairperson of Silicon Cape," Fraser said this morning. "The organisation has grown significantly under the guidance of Rob Stokes, but there is still much to achieve in building a thriving tech ecosystem in SA. "I am looking forward to the challenge and to working with the new committee to build on the successes of the organisation to date." Fraser was one of 28 candidates and will replace outgoing chairperson Stokes, founder and CEO of Quirk. Stokes last week scooped this year's IT Personality of the Year award. Fraser is a business development manager at Invenfin, a seed and early stage venture capital fund. She previously served as vice-chairperson on the Silicon Cape committee. The Silicon Cape committee comprises 12 members. The 2013 committee also features Democratic Alliance national MP Tim Harris; chief business development officer at Bozza.mobi Catherine Luckhoff; Groupon CEO Daniel Guasso; conductor at 42Engines Heidi Schneigansz; Perk founder Jess Green; CEO of Trust Fabric Joe Botha; Silicon Cape member Lianne du Toit; CEO and co-founder of Motribe Nic Haralambous; co-founder of RSAWEB Rob Gilmour; founder of Pype.com Roger Norton; and Bytecode Consulting founder Thulani Ngwenya. "I was amazed by the level of enthusiasm and capabilities of all the nominees last night. Competition was stiff, but I think that each and every member of the new exco will contribute to the future success of Silicon Cape, and in achieving our goals of more and better tech start-ups and businesses; attracting investment and investors into the sector; and in creating an enabling environment for entrepreneurs and businesses to flourish," Fraser added. Silicon Cape is a community-owned and -driven initiative that supports entrepreneurs, venture capitalists and other professionals in the IT industry.